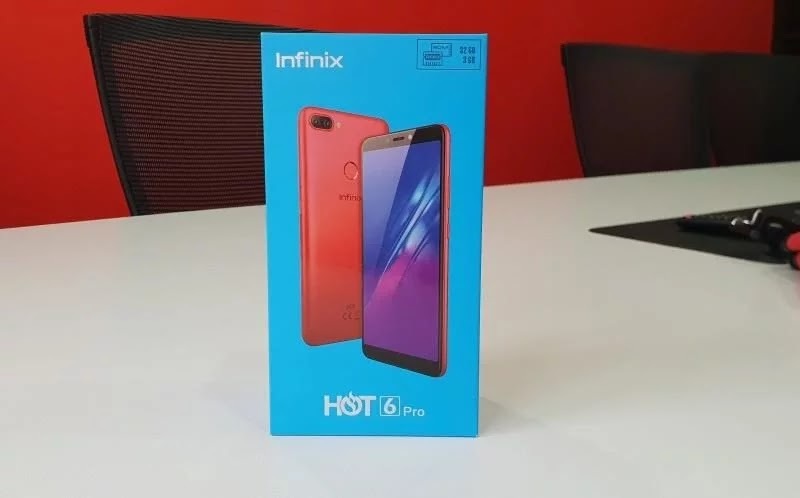 So in case you don't know before now, the Infinix Hot 6 and Hot 6 Pro which are successors to last year's Hot 5 and Hot 5 Pro have been launched and are already available for purchase at various online outlets like Jumia, Slot, etc. 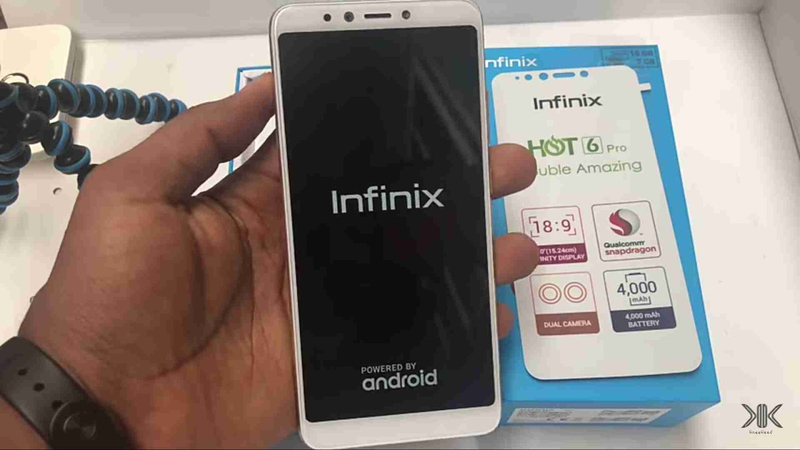 So today we'll be unboxing the Infinix Hot 6 Pro variant, and will be taking a quick first look at the device. Now without further ado, let us tear this box open, to see the various things we have in it. 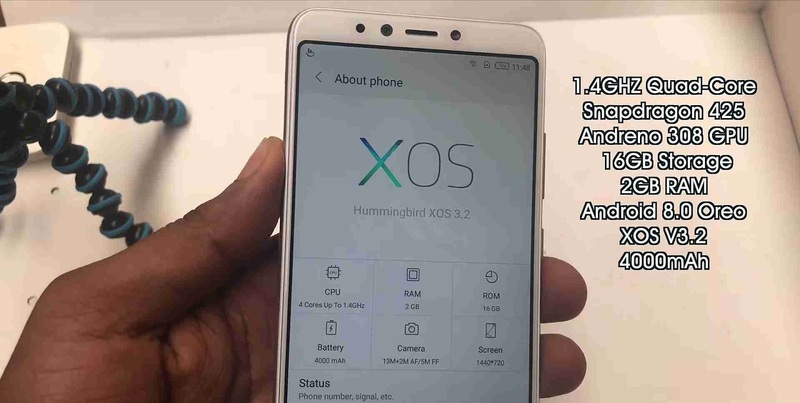 So from the photo we have above, we can all tell that the device ships with a blue coloured box, with a picture of the phone printed on it, and "Hot 6 Pro" written below it. Tearing the box open, we have our normal everyday accessories that you would readily find in any midrange phone. Things like the phone itself, a nylon screen protector, a rubber pouch, one generic pair of infinix earphones, a single wall charger and the power cord, user manuals, warranty cards and some other unnecessary cards, etc. So that is it for the first phase of the unboxing. So powering the device on for the first time, and you're greeted with that vivid 6.0inch HD+ display with "infinix" printed boldly on it. And in case you don't know before now, the device comes with some midrange 2018-like specs like a Snapdragon 425 Chipset (second from infinix), you get 2GB of RAM, 16GB of inbuilt storage which is expandable via a microSD card, and a beefy 4000mAh power battery. 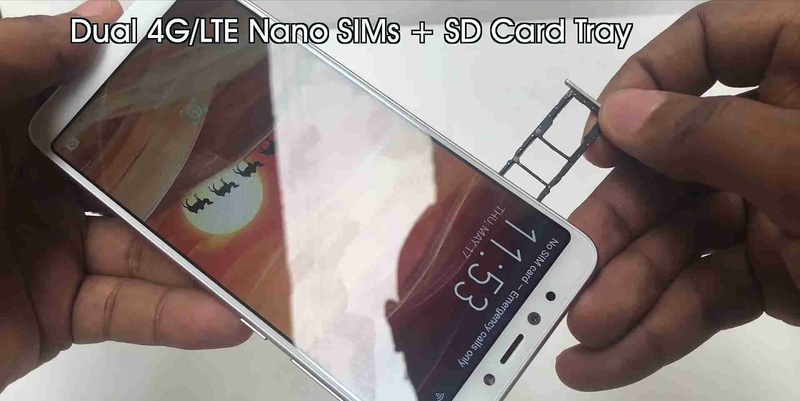 So taking an all-round look at the phone, at the right side we have our volume rockers and power button, left is a single tray that serves as a home for two sim cards, and one microSD card. On the top on the device, we have nothing. Then coming to the bottom is where we can find all the holes. First is the mono speaker grills, coming after it is the micro USB charging port, next is that little hole that serves as a microphone, then lastly is 3.5mm earphones port. And turning to the back, we are greeted with our dual camera lenses. a 13mp main shooter, plus a 2mp telephoto lens, we will see hoe those two perform in our full review. So make sure to subscribe to our newsletter to get notified. Dual 13MP + 2MP Cameras, with Dual LED flash light, and the fingerprint reader sitting below. 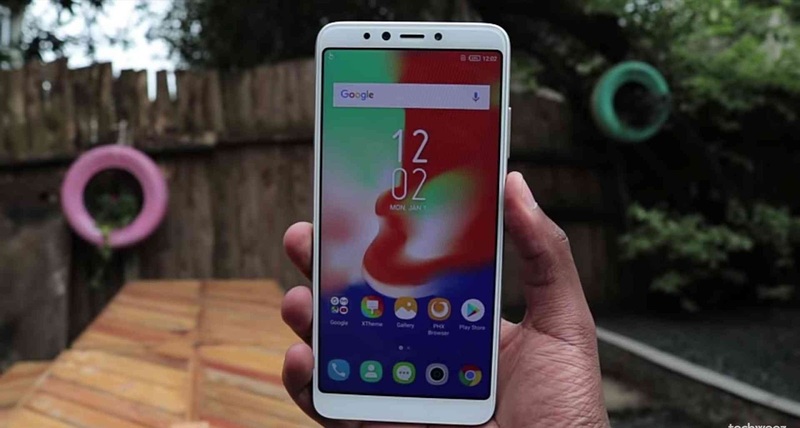 Coming to the front like i said earlier is our 6inch HD+ IPS LCD display, then at the top of it is a slim bezel that houses a 5mp front shooter, a led flash, and a notification led. Then at the bottom of it, we have nothing save for a reduced chin that serves no purpose other than just being there, as all the navigation buttons have been moved to the screen of the device. But even with that, the device i will say is somehow considerably small when compared to other infinix devices from last year before this race for 18:9 aspect ratio took off. But personally, i still think infinix could have done more by reducing those top and bottom bezels of the phone. But still on still, the device is not heavy at all and feels very comfortable to hold even for long periods. And then one last thing to take note of before we go is that, don't let the looks of this phone confuse you, it might look like metal, but it is all-round plastic. Don't know if this might be a turn-off for some persons out there, cause it was a already a turn off for me. 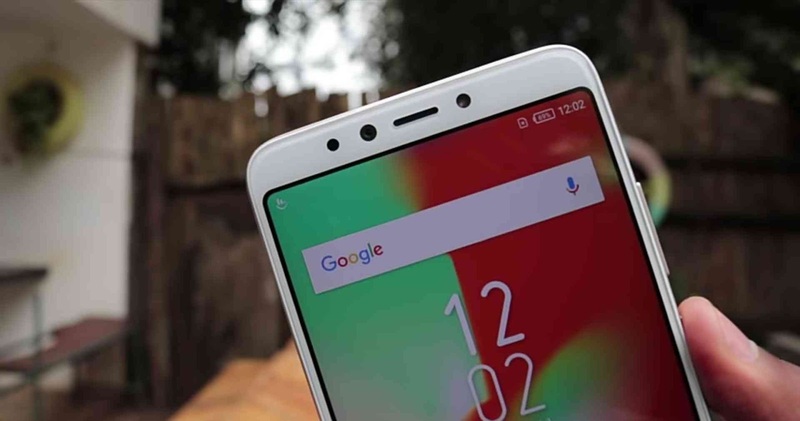 I can't see reasons why infinix have stuck to pushing out devices with plastic bodies in 2018, even when the world is now moving to glass bodies. 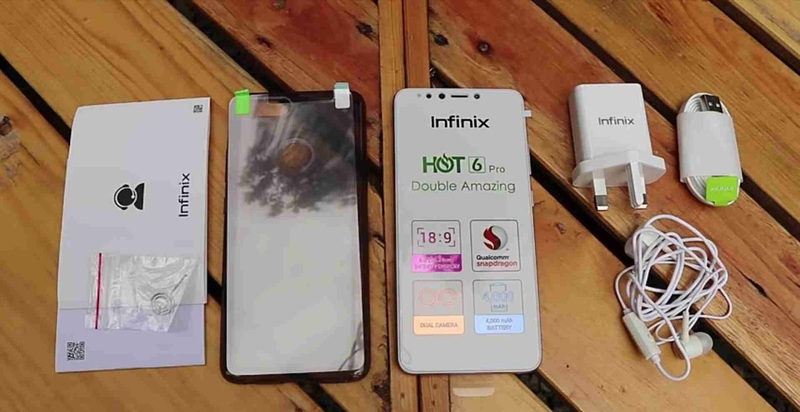 But that's pretty much everything for the unboxing and first look of the Infinix Hot 6 Pro guys, we will be doing a complete Indepth review of it in the coming days, and probably a camera comparison too with the Tecno Camon X. So stay tuned and make sure you subscribe to our newsletter to get notified. Don't forget to keep sharing our goodnews and tell us what y'all think about this device in the comments section below.. Bye and have a nice day..